← Spring Ahead Tonight! Spring is Near! Viju Vijaysadan – Congratulations on your First Solo Cross-Country!!! 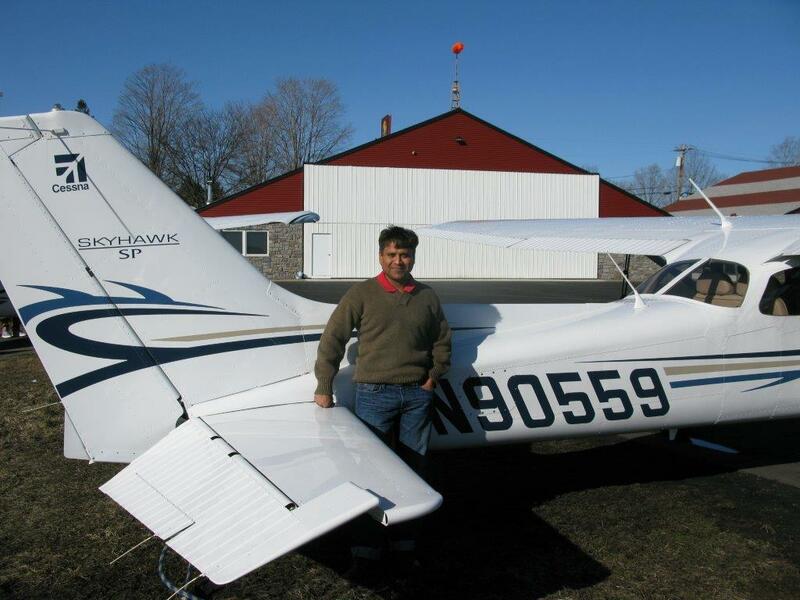 Viju Vijaysadan of Pompton Lakes, NJ completed his first solo cross-country flight today! As Pilot-In-Command, Viju skillfully piloted Skyhawk 90559 from N07 – Sullivan County International (KMSV) – N07. Congratulations to Viju and his instructor, Tim McSwain! Very nicely done! One Response to Viju Vijaysadan – Congratulations on your First Solo Cross-Country!!! Great news! I thought I heard Viju on the radio today and when I heard Sullivan Co. I suspected that you were on your solo xc. It sounded very busy up in KMSV today, good job!